DENVER, COLORADO–We last saw the dynamic tree-coring duo of Abby VanLeuven (’14) and Andy Nash (’14) in wet, muddy, glorious Alaska pursuing their Independent Study research with Dr. Greg Wiles. 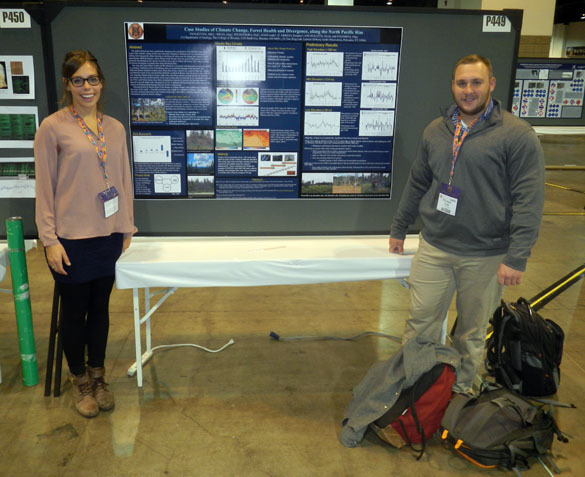 They cleaned up nicely and today presented two posters at the 2013 annual meeting of the GSA in Denver. 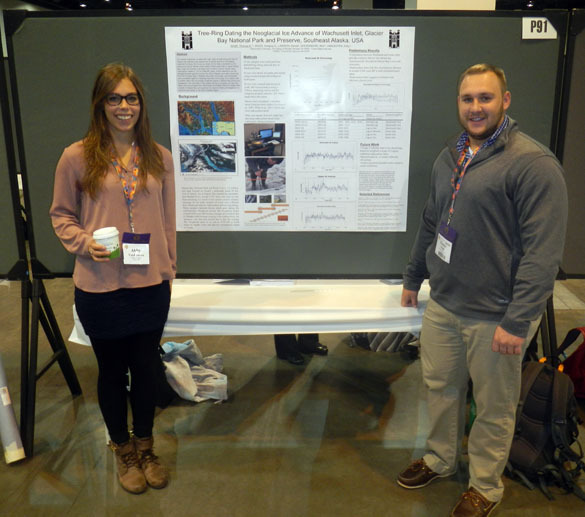 Abby is the senior author on the poster above, entitled: “Case studies of divergence along the North Pacific Rim“. On the poster below Andy is the senior author, and it is titled: “Tree-ring dating the neoglacial ice advance of Wachusett Inlet, Glacier Bay National Park and Preserve, southeast Alaska, USA“.